Just as we packed our holiday decorations away and are settling in for the Winter season Disney is already getting prepared for Halloween! 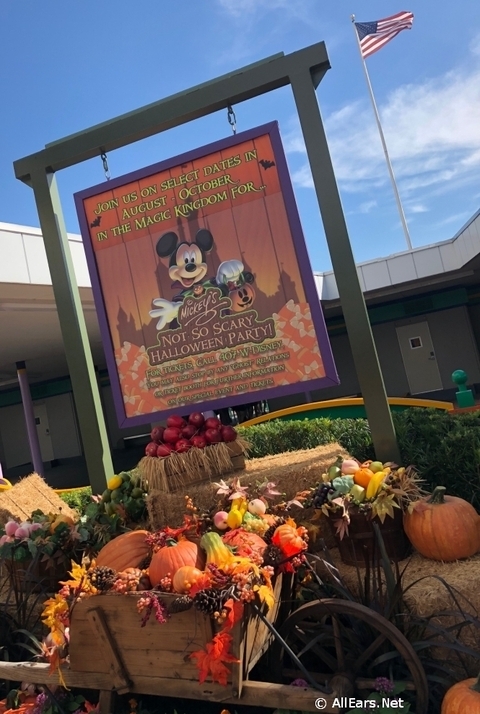 Tickets for this year’s Mickey’s Not-So-Scary Halloween Party in Walt Disney World‘s Magic Kingdom have gone on sale this morning! The first of this year’s parties will be on August 16, and the last one will be celebrated on November 1. Prices start at $79.00 plus tax. The price varies by date, increasing the closer the date is to Halloween. Discounts are available on select nights for Annual Passholders and Disney Vacation Club members. To learn more about the Party and purchase your tickets visit the Disney Website. Are you planning on attending this year’s Mickey’s Not-So-Scary Halloween Party? Let us know in the comments below! Bought 2 tickets for 10/29 for $244 with tax as a gift for guests staying with us at OKW over Halloween. They will be in costume and have a blast! My adult daughter went 2 years ago. She loved it. She used the time to just ride the rides. She rode them all multiple times in just a few hours. Something she could have never accomplished during a regular visit. So for $79 it’s a bargain.